​La Specola is a natural history museum located in Florence, Italy and is the oldest public museum in Europe. It’s a wonderful resource, intriguing, and overall a unique experience. Not only does it have a huge and exotic taxidermy collection (which even houses some extinct species), it has the largest wax anatomical collection. It started as a personal collection of the wealthy and powerful Medici family, and was then opened later to the public in 1775. I’ve personally had the privilege to visit this museum up close and in person and it was a very unique experience. I believe the museum is completely overlooked by the many tourists who visit Florence. Their anatomical wax collection was what was the most interesting to me. 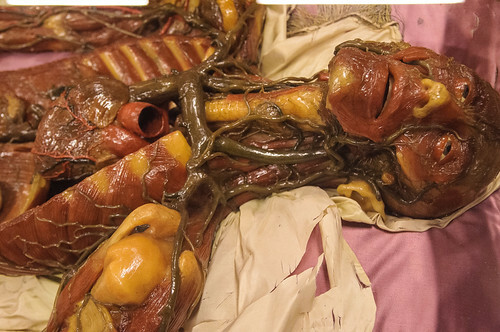 What is unique about these wax interpretations of the human body is that they were based off of real cadavers in an attempt to teach medical students about the inside of the body. This wax collection served a very significant purpose in its time, and now is on display for pretty much anybody who is interested. The anatomical depictions are extremely intricate and in some cases are incredibly realistic. It’s easy to feel light-headed when your surrounded by these bodies and body parts with their impressive details. Parts of the organs were cast, and all was hand painted. The process of making, measuring, painting, and varnishing these bodies was intense. Although my interest lied mostly in the wax collection, the taxidermy collection they have is just as superb. Birds, insects, mammals, reptiles, minerals, plants, just about anything you could come up with, were separated and categorized by 24 different rooms that would very well impress Darwin. There are a variety of species included and I included a picture of one of their most unique pieces of taxidermy, which is of an unprofessionally stuffed hippo. The hippo was actually one of the Medici’s (Cosimo III) pets. The pet used to live in the Boboli Gardens behind the Pitti Palace. My personal favorites were either the room full of birds including finches and the reptile room. The variations of finches are impressive and assorted in a neat order all of various sizes, beak sizes and shapes, and of course highly saturated colors. Seeing it all up close and in person is much more spectacular, believe me, than the pictures I attached that I could find. 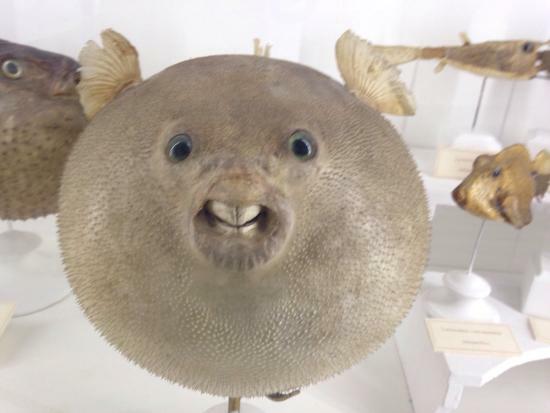 The taxidermy collection actually has pieces from all around the world, so you’re bound to run across various species you are not familiar with. The taxidermy and wax collections are both excellent resources even for a variety of artists. You can find sometimes among the visitors people sketching whatever they find intriguing. Yet even then among Florence’s wide variety of tourist attractions, La Specola would remain one of the most empty, next to the Galileo Exhibit. However, there is some type of charm to that, a treasure that is overlooked, and that reveals its wonderful curiosities to whomever is willing to step inside. The medical oddities are relevant for those who are most morbidly curious. One of the things I think is interesting about taxidermy, perhaps especially in this case with the Medici's pets, is the question of why people have the desire to preserve and keep these once-living animals. Unlike natural history museums which normally have a mission to educate the public about species in the wild, do such people feel a need to display their superiority over the wild animals of nature? Have a fond reminder of a beloved animal friend? Is it a way to turn everything into a possession/trophy/evidence of affluence? I just had a conversation about this over the weekend. We couldn't get over the idea of owners that stuff their pets. That reminder alone seems disturbing then you consider how long it's been since the pet has passed and is just sitting there. Even crazier I came across something one time where they would taxidermy their pets but place their heads on human like models with Victorian era wardrobe or in human social environments. Freaks me out. Fascinating to learn about the best kept secret in Florence. Leave it to a Medici to collection such a vast array of specimens. This is a fabulous hidden gem of historic Italy. Definitely adding this to my European 'bucket list'. SO I was in Florence just one day last summer, and this had been recommended to me, and even though I did I have the intent of going, it just didn't work out. I seriously regret it, I think I would have been blown away, but I'm looking forward to whenever I'll get the chance again. I'm also interested in the models of bodies, I wonder if they also have any actual models as we know during the early stages of anatomy real bodies had to be used. There is also a unique aesthetic to how those models are positioned and displayed. I don't see them as very clinical and more like what we go through during the day, but only if you could see inside of us. There is also a deep appreciation for all of our physiological function and how some things we do and the things inside of us work are unfathomable, but we don't ever see it. We have everything we are ever gonna get at birth and we have to make it all last our entire lives, we can't replace and maintain our bodies as easily as we do machines and cars. Very nice.